Lalu Prasad Yadav is an Indian politician from the state of Bihar. He is the President of the Rashtriya Janata Dal, former Chief Minister of Bihar, former UPA Minister of Railways, and former Member of Parliament of the 15th Lok Sabha. He entered politics at Patna University as a student leader and was elected as then youngest member of the Lok Sabha in 1977 as a Janta Party candidate at the age of 29. He became Chief Minister of Bihar in 1990 but had to resign in 1997 following escalating corruption charges relating to the Fodder Scam. 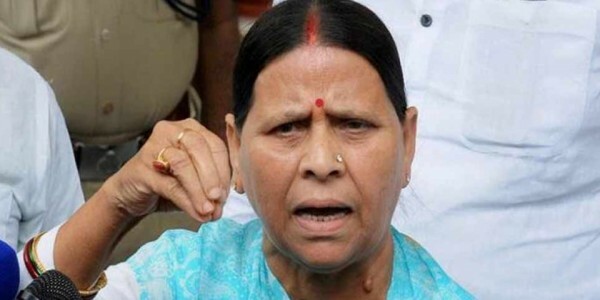 From 1997 to 2005 his wife Rabri Devi ruled as the Chief Minister of the state." 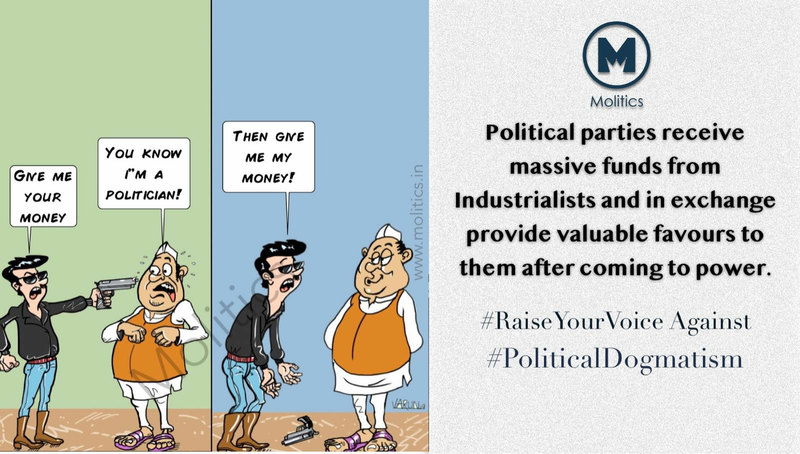 His party came to power in Bihar Legislative Assembly election, 2015 in partnership with Nitish Kumar of JD(U), but Nitish Kumar dumped Lalu's party from the power in July 2017 after the Enforcement Directorate and CBI lodged several criminal cases against Lalu, his wife Rabri, his son and former deputy Chief Minister, Tejashwi Yadav, in another disproportionate assets and railway tender bribery scam during Lalu's stint as the Railway Minister. Positions held •	1977: Elected to the 6th Lok Sabha at the age of 29. •	1980–1989: Member of the Bihar Legislative Assembly (two terms). •	1989: A Leader of Opposition of Bihar Legislative Assembly, Chairman of Pustakalaya Committee, Convenor of Committee on Public Undertakings. Re-elected to the 9th Lok Sabha (2nd term). •	1990–1995: Member of the Bihar Legislative Council. •	1990–1997: Chief Minister of Bihar •	1995–1998: Member of the Bihar Legislative Assembly. •	1996: Lalu implicated in Fodder Scam •	1997: Splits from Janata Dal to form Rashtriya Janata Dal. •	1998: Re-elected to 12th Lok Sabha (3rd term). 1998–1999: Member of General Purposes Committee, Committee on Home Affairs and its Sub Committee on Swatantrata Sainik Samman Pension Scheme, Consultative Committee of Ministry of Information and Broadcasting. •	2004: Re-elected to the 14th Lok Sabha (4th term). Appointed Cabinet Minister in the Ministry of Railways in UPA govt. Lalu, wife Rabri Devi, son Tejashwi Yadav and daughter Misa Bharti booked for railway tender bribery scam, disproportionate illegal property and income tax evasion cases in 2017. •	2009: Re-elected to the 15th Lok Sabha (5th term) and disqualified in 2013 subsequent to his conviction in the first fodder scam case. •	1970–1990: Student Politics Lalu prasad addressing Yuva Janata Dal in Nayagaon, Sonpur in 1988 In 1970, Lalu entered in student politics as General Secretary of the Patna University Students' Union (PUSU), became its president in 1973, joined Jai Prakash Narayan' Bihar Movement in 1974 where he became sufficiently close to Janata Party (JP) leaders to became the Janata alliance's winning candidate in the 1977 Lok Sabha election from Chapra at the age of 29. In 1979,the Janata Party government fell due to in-fighting.The parliament was dissolved with new polls held in 1980. Lalu quit Janata party to join the splinter group, Janata Party-S led by Raj Narain, only to lose the re-election in 1980.He managed to win Bihar Legislative Assembly election later in 1980, and again in 1985 to become leader of opposition in Bihar assembly in 1989.Later in 1989, he was also elected for Lok Sabha under V. P. Singh government.By 1990, he positioned himself as the leader of Yadav (11.7% of the Bihar's) and lower castes.Muslims, who had traditionally served as Congress (I) vote bank, shifted their loyalty to Prasad after the 1989 Bhagalpur violence. He became popular among the Muslim and Yadav voters of Bihar. •	1990–1997: Lalu and wife as Chief Ministers of Bihar during the Fodder scam era •	1998–2002: Formation of RJD and out of power •	2004–2009: Railway Minister Cases •	Conviction in 2 fodder scam cases In the Bihar Legislative Assembly election, 2015, Lalu Yadav's RJD became the largest party with a total of 81 seats. He along with his partner Nitish Kumar of JD(U) had the absolute majority to form a government in Bihar. 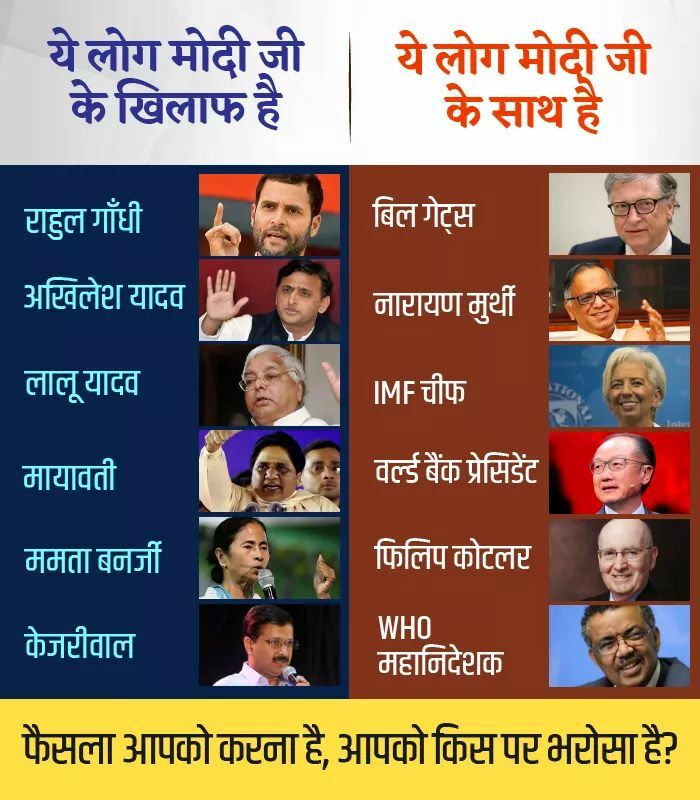 This was cited as a major comeback for the RJD and for Lalu Yadav on the political stage of Bihar after a gap of 10 years. 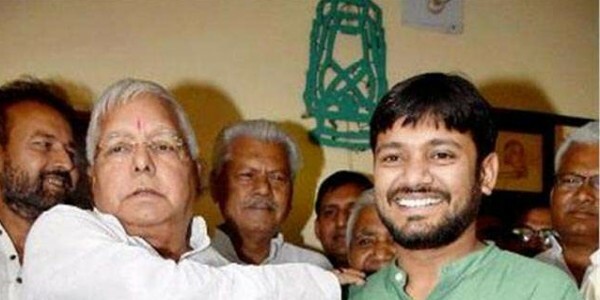 But that suffocating alliance did not last long as Nitish Kumar dumped and ousted Lalu's party from the power and alliance in July 2017 after the Enforcement Directorate and Central Bureau of Investigation lodged several criminal cases against Lalu's son and Deputy Chief Minister, Tejashwi Yadav. Lalu has been convicted and jailed in 2 scams. •	1996 Fodder Scam – 1st case of INR 33.61 crore scammed from Chaibasa treasury: 5 year conviction in 2013 Fodder scam has several cases, in which Lalu is an accused in 6 cases, he has been convicted in 2 cases and 3 more cases against him are still pending in the court. •	1998 Lalu's disproportionate assets case In 1998, disproportionate assets case arising out of fodder scam was registered against Yadav and Rabri Devi.In April 2000, both were made co-accused in the charge-sheet and surrendered. While Rabri Devi got bail due to being CM of Bihar, Yadav was remanded for 11 days and sent to the Beur Jail. Due to the proceedings in the fodder scam, Yadav was remanded for a day in Beur jail on 28 November 2000. CBI failed to prove them guilty and they were acquitted by a CBI court in 2006. Bihar government wanted to appeal against the acquittal, but Supreme court in 2010 ruled that state government cannot challenge such rulings. •	1996 Fodder Scam – 2nd case of INR89.27 lakh scammed from Deoghar treasury: 3.5 years conviction in 2017 Lalu was convicted and jailed in 2nd Fodder Scam case of INR8.927 million on the same day 23 December 2017 when his member of parliament daughter Misa Bharti was also officially charged by Enforcement Directorate in disproportionate assets. while 4 more fodder scam cases against him are also pending in the court. Lalu was convicted 23 December 2017 and sentenced on 6th January 2018 to 3.5 years imprisonment and INR1,000,000 fine under the under the Prevention of Corruption Act and the Sections 120B (criminal conspiracy), section 420 (cheating and dishonestly), section 467 (forgery), section 471 (forged record) and section 477A (falsification) of the Indian Penal Code and for the fraudulent withdrawal of INR8,900,000 from the Deoghar district treasury between 1990 and 1994. •	1996 Fodder Scam – 3rd case of INR35.62 crore scammed from Chaibasa tresary: 5 years conviction in 2018 This case, pertaining to scamming INR356.2 million scammed from the Chaibasa tresary of West Singhbhum district. •	1996 Fodder Scam – 4th case of INR 3.97 crore scammed from Dumka treasury: 14 years conviction in 2018 Lalu Prasad was convicted by the special CBI court in the fourth fodder scam case relating to alleged withdrawal of Rs 3.13 crore from the Dumka districttreasury over two decades ago. CBI Judge awarded him two separate sentences of seven years each under the Indian Penal Code (IPC) and the Prevention of Corruption Acts. •	1996 Fodder Scam – 5th case of INR184 crore scammed from Doranda tresary: pending in court This case, pertaining to the scamming of INR1.84 billion from the Doranda tresary in Ranchi, is still pending in the Special CBI Court . •	2005 Indian Railway tender scam: Lalu family booked by CBI •	2017 Delight Properties 45 crore benami disproportionate assets and tax evasion cases: Lalu family booked by ED •	2017 Delight Properties 45 crore benami disproportionate assets and tax evasion case •	2017 AB Exports 40 crore benami disproportionate assets and tax evasion cases: Lalu family booked by ED •	2017 Patna zoo soil scam 2017 Patna zoo soil scam is a case against Lalu Prasad Yadav and his sons Tej Pratap Yadav and Tejaswi Yadav for the "gross irregularities" of selling soil from the construction of Tej Pratap's Saguna Mor mall basement. 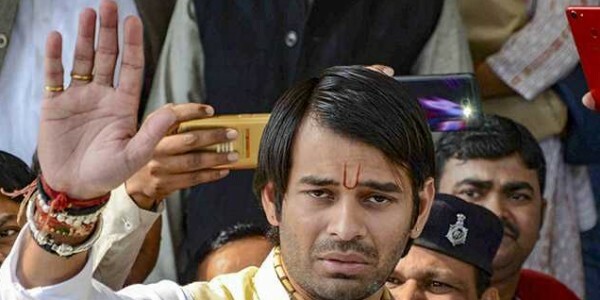 The bogus beautification scheme was for Rs 90 lakh to Patna zoo without inviting any tenders when Tej Pratap was the minister of environment and forest in Bihar, a department that controls the zoo. The scam came to the light in April 2017, a Public interest litigation (PIL) was filed in Patna High Court in October 2017, court ordered the Bihar government to furnish the details of investigation, followin which the case was handed over to Bihar Vigilance Investigation Bureau (VIB) department for the investigation under the Pollution Control Board Act, the Environment Protection Act and Wildlife Protection Act (1972).